This year wasn't as productive for traveling when compared to previous years. However, there is a slowly growing fan following which is much appreciated. The above image was sent in from a fan that definitely is capable of giving a chuckle or two. 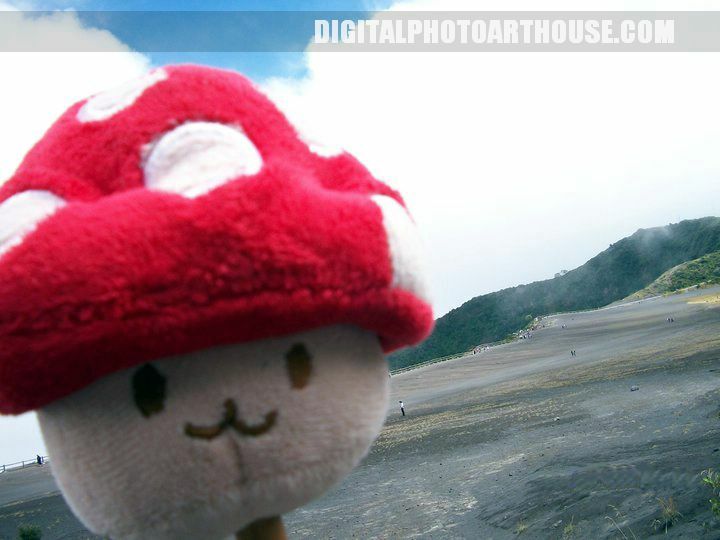 Not sure where this was taken but its not where that matters but the fact that there are those out there that enjoy traveling like the Mushroom. Everyone knows that friends always make a traveling adventure that much more memorable. Thank you for your support as it is hoped that it continues into 2012. Hoping for more traveling adventures and meeting more of you along the way! Happy New Years! Good luck in 2012!!! Visado Australia has the distinction of being the first travel guide we write that's not just for a country, but a whole continent. The land of koalas, giant beers, Outback jeep treks, and world-class surfing is a must-travel destination for anyone with an adventurous itch.